Summary: To implement CECL, your bank will need a dry run to see how your loans and allowances will fare under the new loss-accounting standard. 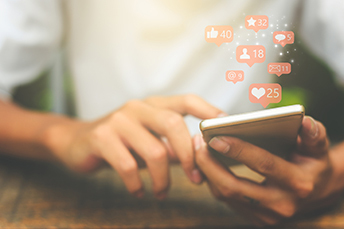 There are all sorts of social media behaviors that can help businesses connect better with their customers. A survey by Sprout Social finds those that do this the best include: liking or responding to a customer (55%), showcasing your brand personality (45%), supporting a cause your customer supports (45%), participating in relevant conversations (44%) and highlighting industry or category trends (40%). To connect better with your team working on implementing the CECL standard in the next few years, we offer the following tips too. To implement the standard, your bank will need a dry run to see how your loans and allowances will fare under the new loss-accounting standard. A dress rehearsal isn't required for all banks, but it is definitely a best practice. It can be a big help in ensuring that you'll be ready to calculate and report your CECL allowance for credit losses for the first quarter of 2020 (or 2021) in a way that satisfies regulatory expectations, the board, bank management, and your external auditor. Next, be sure this dress rehearsal, commonly called a parallel run, demonstrates the difference between your allowance under the current approach and under CECL. It should also intuitively help you explore how that gap will affect your capital and future earnings. A parallel run should further test your controls and processes for calculating allowances, and help you make strategic decisions around pricing, products, and underwriting to adjust for the new standard. Ideally a parallel run should also give you four quarters of data, so you'll need to start soon to do this right and have enough time to analyze the results. You absolutely need at least two full cycles, so planning a parallel run should be a priority for your bank. The results of the dry run from the fourth quarter of 2019 can be a good way to form the basis of your proposed transition. A good dress rehearsal has three guiding principles: planning resources to allow a parallel run in tandem with your current business processes, ensuring that your CECL process works, and making sure that you have two full parallel cycles before going live with CECL. It also has three distinct phases: testing the functionality of your production process, running the operation and internal controls, and adding approval, reporting, and investor communications. Every phase of the parallel run should involve the same people who will ultimately run your bank operations under CECL. Delegating substitutes to do the parallel run weakens its effectiveness. Consider reassigning existing "business as usual" resources to work on the parallel run, then return to their existing roles. Staffers from risk or internal audit can temporarily fill current operational roles. Next, write a detailed description of how you'll operate under CECL. It will likely be a combination of the dry run plus a step-by-step, granular version of your proposed procedures. This will help you identify resources that you'll need to add, long before you will actually need them, so that it won't come as a surprise. If you'll need extra resources, we are here to help you. Our CECL application provides you with a SaaS solution plus expert support to guide you every step of the way. When you pay homage to someone, you are giving them a special honor or respect in a public way. We continue our homage to community bankers today. Fitch Ratings said there are no signs of recession currently, but noted that global growth was sharply deteriorating. Fitch sees relatively strong US GDP growth as a positive and expects China will start stabilizing soon. Fed Chair Powell said he isn't concerned about the banking system, noting banks are much better equipped today to handle stress. He said they are far better capitalized, more aware of their risks, more liquid, and are more resilient during difficult states of the economy. Even though BofA has the most patents on blockchain of any financial services company, its tech and operations chief has doubts of its viability. She has not seen that it dramatically improves the existing methods beyond a small set of transactions. She does, however, find value in private blockchains where banks can support their clients at a lower cost eventually. CECL is one of the biggest challenges for community bankers these days. Our experts are ready to guide you every step of the way through this integration with no software to maintain. Learn more about our CECL Solution.